In this hour, we’ll hear about an upcoming event focused on digital media businesses from Bee Leng Chua, and Mike Gifford will tell us about a new app call Dodecki that’ll help you avoid wasting time in line at your favorite restaurants. 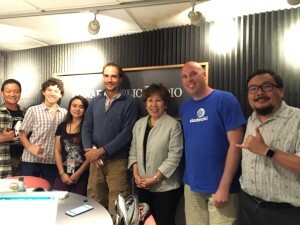 Finally, we’ll hear from the winners of the latest Startup Weekend Honolulu, including for the first time a high school student. Stay tuned to meet Liam Clive of Mentorship.link, Constantin Dumba of Grumble and Jenn Lazariuk of All About. If you are interested in joining the Mentorship.Link beta program as a participating business or a participating student, please contact Liam Clive at liam@mentorship.link. To learn more about Mentorship.Link, visit www.liamclive.com.